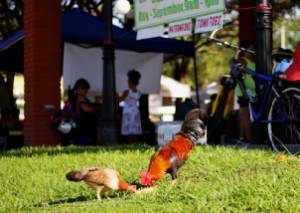 Ybor City’s chickens, where did they come from, why are they here and how are they still around? These are some of the questions Eben Gering, evolutionary biologist and professor at Michigan State University is trying to find out. With the help of Ybor Chicken Society’s, Dylan Breese, Gering and his team of researchers are collecting data to study how animals adapt. Read more about their efforts on the Tampa Bay Times by clicking here.